If you are a start-up or small company providing data recovery services, you probably have no – or hardly any – standard processes, templates, and documents for client management. You might manage every client engagement differently – which is time-consuming. 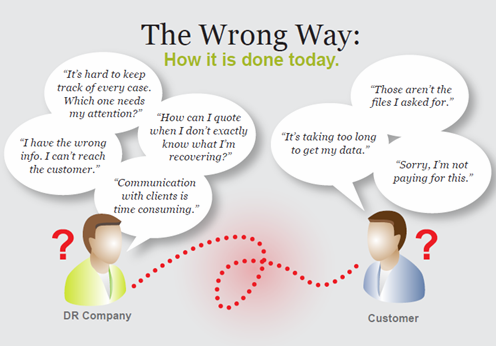 And you likely feel you just don’t have the time to professionalize and automate your business processes. You might be starting a data recovery business and new to providing professional data recovery services, but DeepSpar Operations Server is not. This system has the right business processes for professional DR businesses built in. It knows how to manage the customer communication process – which questions the client needs to answer, which forms are to be filled out when, what the customer should sign. Is DeepSpar Operations Server too complex for my business? Definitely not! DeepSpar Operations Server has an Installation Wizard that allows you to choose only the tasks, workflows, and documents that make sense for your business today. You can install and use only the features required for critical customer tasks and add additional features as you grow. Or, you can install the default application and have access to a full-fledged data recovery business workflow. Step 1 Step 2 Step 3 Congratulations! Start the Installation Wizard Input your company information – name, address, and contact information. Choose processes, features, and documents you want to use – or simply accept our recommendation for small companies. You now have a professional, branded client management process! Receive your next customer with confidence. What next? When you are ready, you can edit templates and documents to reflect your business and the way you want to communicate with your customers. We believe that a small data recovery company deserves the same professional tools, processes, and systems as large DR companies, so your version of DeepSpar Operations Server comes with ALL of the functionality you need. You can simply turn it on when you need it. And call us if you have questions. 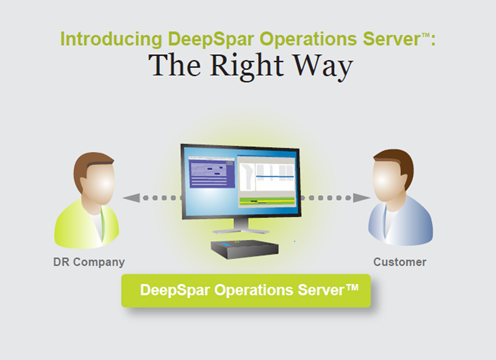 Read More: DeepSpar Operations Server capabilities and features. Read More: Tour the DeepSpar Operations Server presentation.